The Cultch, 1895 Venables Street, has put out a call to visual artists to submit applications to exhibit their work during their 2018/2019 gallery season. Each exhibition will run for 3 to 4 weeks between August 2018 and June 2019. Submissions can be single or multiple artists’ proposals. The Cultch Gallery is a multi-use space and not a traditional art gallery as it also serves as the lobby for performances and is occasionally used for meetings and other small events. Due to the diverse nature of this space, submissions that include sculptures or free standing art will not be accepted. Studio 126 at 126 East Pender Street is a very cool studio with a variety of locally made goods including reclaimed furniture, handmade items by local artisans including Brand & Iron, Woodlot, Hobo Woodworks, Say It With Sarcasm, Sue Griese Ceramics, LISSU Linen and East Van Jam. 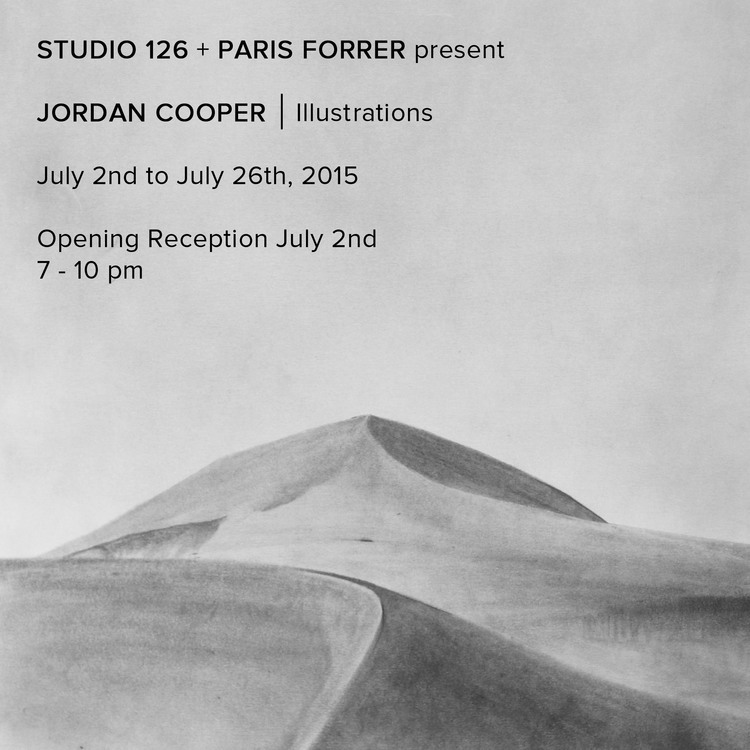 On Thursday, July 2nd, Studio 126 and Paris Forrer will be hosting an Opening Reception of Illustrations by Jordan Cooper. 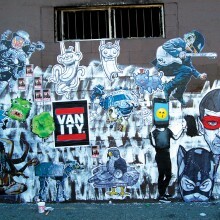 Jordan Cooper is a self-taught illustrator from New Westminster, BC and began drawing at a young age. He mainly uses graphite on whatever paper he’s fond of at the time. This is Jordan’s first show that will showcase a variety of his illustrations. The reception kicks off at 7:00 pm and runs till 10:00 pm. Admission is free, but an RSVP is requested. There will also be a cash bar with beer, wine & vodka lemonade for the Opening Reception. Lemonade is provided courtesy of The Juice Truck. You can also expect a musical appearance by Ben Rowley. If you miss the Opening Reception, Illustrations will be showing until July 26th and can be viewed Wednesday to Saturday from 12:00 to 6:00 pm and Sunday from 12:00 to 5:00 pm. We’ve learnt of a very cool space in Chinatown, called Studio 126 located at 126 East Pender Street. The studio has a variety of locally made goods including reclaimed furniture, handmade items by local artisans including Brand & Iron, Woodlot, Hobo Woodworks, Say It With Sarcasm, Sue Griese Ceramics, LISSU Linen and East Van Jam. This Thursday, April 2nd, you are invited to the Opening Reception of Love Your Face. This is a collection of 100 portraits by photographer Ian Sheh in which he reveals the wonder and beauty of our face. The reception kicks off at 7:00 pm and runs till 10:00 pm. Admission is free. If you wish to RSVP or request further information email Studio 126 at studio126yvr@gmail.com. If you miss the Opening Reception, the Love Your Face exhibit will run until May 3rd and can be viewed Wednesday to Saturday from 12:00 to 6:00 pm and Sunday from 12:00 to 5:00 pm. This Friday, September 5th, you are invited to the opening reception of a new exhibit titled “Streets” at Hot Art Wet City, 2206 Main Street. This exhibit brings street art inside and features a number of artists including wheatpaste, iHeart, Joy, Slingshot, Wrk(less) and MW Bowen. The opening reception kicks off at 7:00 pm and goes till 11:00 pm. If you miss the opening, the exhibit is available for viewing until September 26th with the venue being open Wednesday to Saturday from 12 – 5 pm.